From Architectural Digest to Worth Magazine, AD 100 Designers to Titans of Industry. Our society carefully attempts to measure its people, businesses, objects and art quickly valuing the images, captions and titles placed in the media. While many of the instances are accurate, writers and researchers compiling information to insure that the editor posts a powerful statement, there are multiple participants that go without credit. 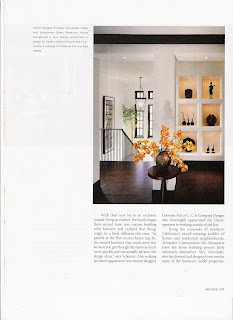 Specifically in this months issue of California Homes Magazine Titans of Industry Photo notebook there are 2 special fixtures that stand out, Alison Berger’s Surveyor’s floor lamp and Lantern Master’s Morgan’s pendant. Within the last 10 months I had the opportunity to meet with Alison to discuss production techniques and design processes. Her designs are the direct result of understanding the manufacturing process and the result is related to her interaction with the manufacturing process. As we both jested is really comes down to dirt under your fingernails. Dirt under your fingernails moves beyond rolling up your sleeves. Alison’s active participation in blowing glass and assembling fixtures truly has enabled many of her designs to hold a place in relevant design history. Brilliantly illuminated at center page is the Morgan’s Pendant, created from sandblasted glass. However, the sandblasted glass was a partial resolution to the overall design process. In an un-self-serving statement; I had designed this fixture with the intentions of blending into a naturally illuminated stair well of straight and raw steel pickets against a pallet of clean white walls. 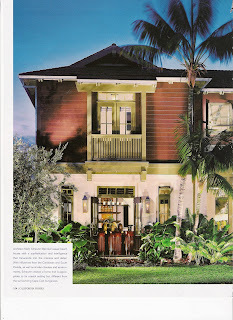 Please refer to California Homes May/June 2005 issue. The straight forward design in plan from below has a greater level of interest as it is a smaller square, the base, is inset at a diagonal to a larger square, the top. This relationship created the geometry that we all see in elevation. Who, what, where, how and why are typically the questions asked in the design process. When all of these questions are addressed, answered and qualified as strong answers, then the design process is 90% complete. Who is the design or solution for? What are the specific needs and intention of the design or solution, composed against where the solution will be needed are the basic questions that are composed during the solution seeking process. How and why the solution will be executed, and survivability of the solution strengthen the entire process and begin to resolve the solution. Utilizing these questions in everyday business practices and in the design process establishes a consistent approach to most every solution. The variable difference that allows good design to stand out is that the solution is a visible, tangible object that appeals to all 5 senses and addresses the above basic questions. This is the last few percent of design as it seems to transfer from the mind into a sketch form and then clarified in the manufacturing process with the final output that is accepted by the client and then hopefully bolstered by compliments. The design process never stops. It is as organic as the critics review, good or bad, the client, the partner and the passer-by. For many years one of those critics was my sister who is still actively involved at Lantern Masters in charge of production. Her eye for the bottom line and assuring that the product met the specifications of the company was and is key. So thank you to her and all of the other key individuals that help make the process evolve. There are many people involved in the solution process and question resolving. Each individual has a unique spin, even when involved in a core culture of a company and like that at Architectural Detail Group, team members from Joey Gennaro noodle out my squiggles and sketches to interacting with designers, architects, owners and construction teams everyone’s role materializes in what is resonating impact and organic solution that evolve into the pages of magazines and the adornments of the built environment. This entry was posted in Lighting on August 15, 2007 by Gerald.